"People see objects and how they relate to one another. We don't just see with our eyes. We see with our brains. Our eyes are the camera, but the process of interpreting the image in our brains is seeing." via The brain performs visual search near optimally. You're going to work - whatever that means to you - and during at least a part of your day you wonder, "What's coming next?" 1. Clarify what you're looking for. 2. Think back to flip forward. 1. Right now (and, for the foreseeable future) it's all about "search." Just this morning, I typed the following two items into the "address bar" of my Firefox web browser: weather 10010 - that's right, no www to start with, no .com at the end. I simply typed what I thought I wanted. And, do you know what I got? Well, I won't spoil the surprise. Try it yourself, open a web browser, type in the word weather and your zip code. What happens? 2. In school (ok, this is goin' way back!) my friends and I would write notes on small pieces of paper, take apart a Bic ball point pen, push the note in, and put the pen back together. That was how we "sent a message." I'm reading Ender's Game, and in the "future," messages appear as three-dimensional, dancing words, floating on top of the students' desks. How about you? How do you see the future? Stating an intention is more...it's more than creating a plan, more than getting started. It's a reflection of your belief system. What you believe could happen. Are they personal? Professional? Do they have to do with you, your community or a cause? What they are...that there are; I'd go for the second every time. Write one down, a small one, for this week. See what happens! 1: Freedom. I've got to turn down the inner critic. At times, it's easier than other times, though I have found he's always (and, yes, it is the voice of a he!) always pretty close. 2. "Something" to write with and on. Doesn't matter what, because I'm just in capture mode. I found pens the size of my wallet, and designed my own note-taking business-sized card that goes with me everywhere. 3. What I call a "three-or-more" focus. Is what I'm writing (like this post itself!) going to be able to be repurposed, reedited and reused 3 or more times? Generally what I'm writing shows up as a question via email or a social media discussion...I know I'm going to blog it...and, generally, I will find a way to spin it in to a coaching or/and seminar. 4. Non-attachment. Ok, this is gonna sound weird, after reading number 3, but I have found that life really is one giant paradox! I need to be willing to write, and write, and write, and have enough non-attachment to be willing to through it all away. That last one is pretty significant, as it gives me complete license to write anything down. I got some coaching while reading a biography of Dr. Seuss a while back...there were times, he said, where he'd spend HOURS and PAGES, writing and re-writing, until he got ONE LINE the way he wanted it. To me, it was extremely empowering to realize that someone as famous as a writer as Ted Geisel didn't always get it right the first time! So, what do you say...did I miss anything? What won't YOU write without? "What if we could reduce friction?" For over 100 years, this company has been working on that and related problems. Is yours a problem that is as significant and long-lasting? Goes to show that not every question is a "one-and-done," but some can evolve and continue to engage people over the long term. One of the things about traveling, is I get to see new places and meet new people every day. Between yesterday and today, I'll work with leaders in multi-national organizations. 1. Are you working "smart"? What can you do, in the next hour, to get something done, right, the first time, so you can move on to #2? I can recommend changing your perspective by doing one of two things: (a) Watch someone (who really knows what they're doing) do what you need to do and see something new, or (b) Ask someone to watch YOU working, and ask for a suggestion. 2. Are you thinking BIGger? Ok, so once you work smart, you "just might" wind up letting new thoughts in; thoughts that are bigger in scope than before. Go for it! After contracting with yesterday's executive group (weeks ago) I reached out via my LinkedIn network, and today's presentation "appeared." I'm here on a referral from someone I'd met years ago, while working with Progressive Insurance, here near Cleveland. 3. Are you making more? (And, I'm not talkin' just about $$$ here.) Can you take those bigger thoughts and put 'em in to action? Start now, soon as you finish reading this article. Simply staying in touch, calling/writing/emailing the people around (your neighborhood/town/city/county/state/country/hemisphere/world) might be all it takes to uncover your next big opportunity. 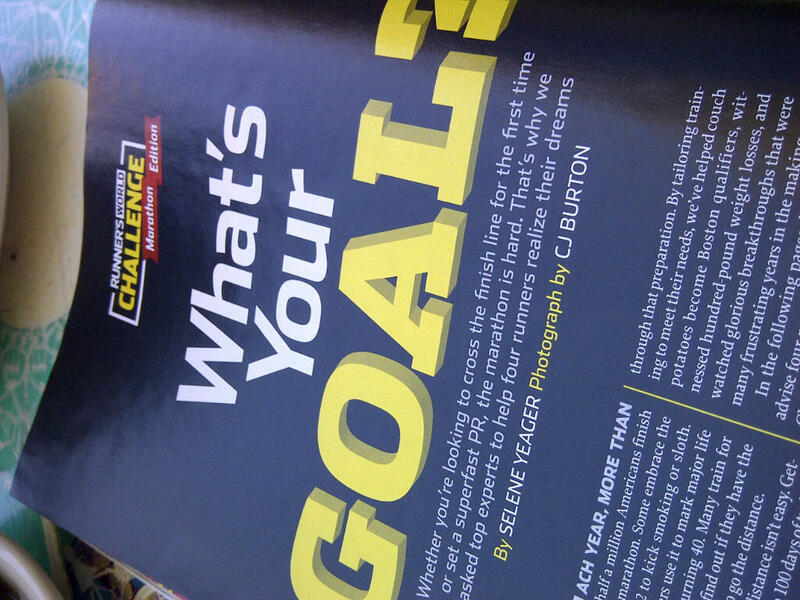 Your turn: What are YOU doing these days to get beyond getting "started"? What's the one thing - people ask me quite often - to improve the chances of today being a MORE productive day? All right... Here's one diagram that shows up quite often in my own note book. In fact, it first showed up while facilitating a leadership workshop for the US Navy on location at Seal Beach, CA. Take a look and see where you could experiment with a new idea this week. 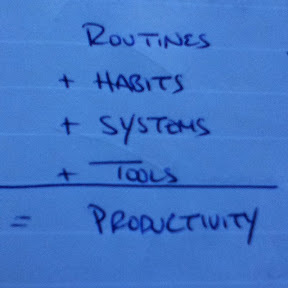 Routines: What do you do, without even knowing you do it? From the moment you wake up, you're on track to do what is "normal." Habits: More on the mental side of things, what have you practiced over and over again so that "that" is how you are? Systems: I think of the applications I use, the services I count on, the "apps" that make it possible to do all of my work. Tools: iPod, iPad, BlackBerry, computers, all those "things" that make it possible to get things done. Ok, now that you've got 4 things to think about, how productive could you be? Are you willing to get better...Really? Then say, "tell me five ways I can save an hour a day." How I got the book: I ordered it from Amazon.com the "moment" I heard about it being available. It shipped a few weeks later. 2: Imagine that the world had no middlemen, no publishers, no bosses, no HR folks, no one telling you what you couldn't do. If you lived in that world, what would you do? 7: Here's what's needed to make something happen: an idea, people to work on it, a place to build or organize it, raw materials, distribution, money, marketing. 9: "What do you do here?" 11: In fact, people within organizations are perfectly situated to start something. 19: Isaac Asimov wrote and published more than 400 (!) books by typing nonstop from 6am to noon, every day for forty years. 23: When in doubt...Look for the fear. That's almost always the source of your doubt. I enjoyed reading this book, and feel confident in passing it on to a business colleague of mine that he will get an idea or two as well! In 2011, I joined the Ventura Ventures Technology Center - http://www.v2tc.com - as a strategic adviser to startups getting going here in the Ventura County locale. This article by Gus G. Sentementes demonstrates the absolute need for communities to have such support to grow the local economy, and continue providing positive opportunities. Thank you, Professor Pease. I found this book on a shelf of a local hotel while I was visiting Dartmouth, speaking for the MBA class at The Tuck School of Business. 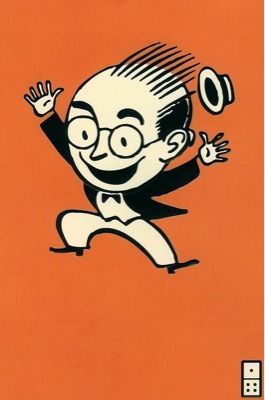 I didn't know much about "Dr. Seuss" before I read your book; and, boy am I happy you wrote it! Growing up in the 70's, I know we had Dr. Seuss books around, though I don't think I would have been able to rattle off more titles than "The Cat in the Hat," and maybe "Green Eggs and Ham." 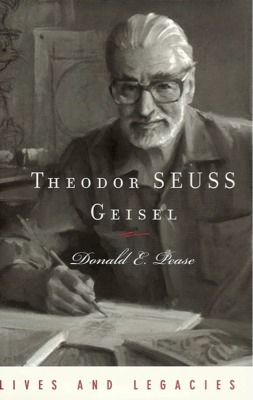 I am very glad I had the opportunity to read more about "the good doctor" (and, if you didn't know about HOW Ted Geisel took the name "Dr. Seuss" you've simply GOT to read this book!). With just 5 chapters and right about 150 pages, you'll find all kinds of surprises about Ted's academic, professional and personal life. But, more than all of that, you'll get a good, solid dose of the creative process. I'm walking away from reading this book with a renewed sense of the process of creativity. Of course, we often talk about the "stroke of insight" or the "sudden" epiphany...what I realized in reading this book by Professor Pease was that the process Dr. Seuss went through was just as tedious, labor intensive and stressful as any management position in a major corporation. And, as a writer, Ted wasn't as Self Employed as one might think...he was writing for a public who was voting with their dollars. Throughout his life, Ted said things out loud. 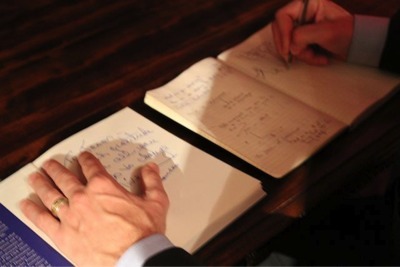 He asked for help, he told people what he was working on, and wrote...every day. In fact, when he moved to California, he had a special room where he would go to just to write; sometimes for hours a day (even overnight) as he continued creating with the words he used to tell a story. He said he'd write dozens, or even hundreds of line, looking for the perfect one that would make the story. 2. The past is present. Like many of us, Ted had a childhood full of hardship, negative experiences and "change moments." With a German background, and a family who was prominent in the local business community, Ted had to deal with the pre-judgments that people made as he was growing up. He shared specific incidences where the way he was treated proFOUNDly affected who and how he was. The past is always right here with us. What we do, how we act and who we are is inextricably tied to what has happened over time. Want things to be different a year or 10 from now? So, do something different today! Is it too cliche to add that to a blog post about someone famous? His life changed, over and over again. From selling "dozens" of royalty-dollars' worth of books a year to selling well over a million books a year by the time he passed away, Mr. Geisel definitely saw things change. For the good, for the bad...it just happened that way. Looking at your own next 1 or 3 or 10 years, what do YOU anticipate coming your way? Or, perhaps it's easier to look backward...1, 3 or even 10 years ago, what were you doing that has an ever-present effect on how you are, what you do, and where you're going today? A thought-provoking book, I highly recommend this impactful and engaging history about someone who I now know was much more complex than a story about a cat...in a hat.